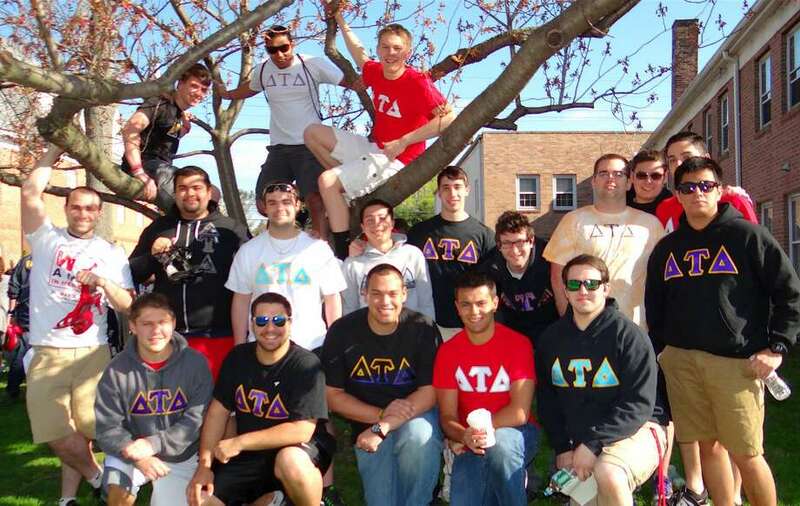 Sacred Heart University fraternity members turned out Saturday for the Center for Family Justice's 2nd annual Walk a Mile in Her Shoes. FAIRFIELD — As Sacred Heart University develops its new West Campus, formerly General Electric’s headquarters, an early event will turn the area abuzz with a call to end violence against women and girls. The university is hosting Fairfield’s second walk this weekend to benefit The Center for Family Justice and raise awareness about sexual assault, domestic abuse and other issues of violence, of which women and girls are more often targeted. The center’s fifth “Walk a Mile in Her Shoes” event is set for April 29 beginning at the Fairfield train station, while Sacred Heart’s inaugural “SHU Walk to End Violence Against Women and Girls” will be held the following day as Sexual Assault Awareness Month draws to a close. “What the walk does is, it raises awareness for individuals in the community that don’t realize that sexual assault or sexual violence is such a prevalent issue in our communities,” said Debra Greenwood, President and CEO of The Center for Family Justice. The center offers free services including counseling and support groups for any victims of domestic violence, sexual assault and child abuse in Fairfield, Bridgeport, Easton, Monroe, Stratford and Trumbull. Greenwood noted sexual assault is one of the most underreported crimes but inflicts trauma that needs to be treated. Raising awareness, she said, can help someone realize they can get help, build allies in the community and boost prevention. Bystander intervention is vital and the overwhelming majority of victims are female, Greenwood added, so encouraging awareness among young men and working so they don’t condone language that promotes and jokes about violence against women on a college campus and beyond is important. Donate or sign up for the SHU walk at www.sacredheart.edu/walk. To register or donate for the Walk a Mile in Her Shoes Event visit centerforfamilyjustice.org. “We need the support of men to help stop these crimes,” she said. University students have had the largest group turnout for the walk in town for the past four years, with about 200 participating from the university community and $5,000 raised last year, according to Greenwood. Sacred Heart President John J. Petillo and members of the university’s Delta Tau Delta chapter spearheaded bringing a walk to the campus this year. “This brings the students all together and really focuses in on college campus safety and what we can do as a Sacred Heart University community,” said Greenwood, also an alumna of the university. Senior Ryan Cannata, Delta Tau Delta chapter president, said the fraternity has drummed up student group, Greek life and sports teams’ support the past four years but hopes a walk on campus will bring the message of ending violence against women to as many students as possible. Leonora Campbell, Title IX Coordinator at Sacred Heart, said the university works closely with The Center for Family Justice and has made conscious efforts as a university to address ending violence on the college campus. Along with students, faculty and staff of the university, the walk is open to the broader community. Campbell said the intention was to show Sacred Heart’s commitment to addressing violence against women not only on campus but in the broader community. She added as an educational institution, the university wants to educate its students in any way it can to be better members of the community when they leave campus and that educating them to combat sexual assault and violence against women is an essential part of that goal. While Police Chief Gary MacNamara is set to complete the one-mile Walk a Mile in Her Shoes trek down Post Road in sparkly pumps Saturday, high heels are optional for Sacred Heart’s Sunday walk.